Walter Reuther was born in 1907 and became an apprentice at the young age of sixteen. 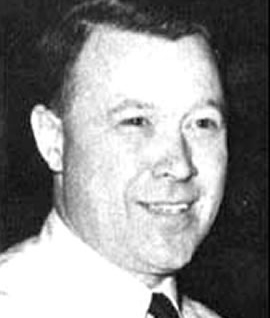 Walter Reuther served as president of the United Auto Workers (UAW) from 1946 until his death in a plane crash in 1970. Reuther’s union career began in the 1930s, when he became active in the movement to organize unions in the automotive industry. By 1937 he had become a member of the executive board of the UAW and an important labor leader. During World War II he gained national attention when he proposed using automobile factories to produce 500 military aircraft a day.Throughout his tenure as union president, Reuther led numerous strikes that eventually changed the nature of employment in the auto industry from insecure, low-paying, part-time jobs to secure, full time, well-paying jobs. Under Reuther, membership in the UAW grew to 1.5 million. In 1952 Reuther was elected president of the labor federation known as the Congress for Industrial Unions (CIO). In 1955, he helped bring about the merger of George Meany’s organization, the American Federation of Labor (AFL) and the CIO to form the country’s largest labor federation, the AFL-CIO.Walter Reuther was also an influential member of the Democratic Party. He was an advisor to Democratic presidents John F. Kennedy and Lyndon Johnson. In the early 1960s he worked closely with these presidents to secure civil rights for African Americans, and to pass social welfare legislation that would improve the lives of poor Americans.